How much does professional bar furniture cost? Home » Bar Furniture » How much does professional bar furniture cost? One of the higher costs that someone who wishes to open a bar has to face is the one relating to furnishing. The most expensive element of all is the bar counter. In this guide, we’ll learn which costs it is necessary to bear to furnish your new bar, and in which ways it is possible to save money. If you have decided to open a bar, it means that you’ve already established if it could be a good investment from an economical point of view. At this point, it is necessary to understand which are the costs to face for equipping your place with a bar counter and all the other furnishings. It’s clear that this necessity presents itself especially when you want to build a bar from scratch. If you take over an already-existing bar, you’ll usually find all of the necessary furnishings inside it. Nevertheless, in this case too, a lot of people decide to make some changes to renew the bar’s image and make other people know that a new management has taken over, until the purchasing of new bar furnishings. 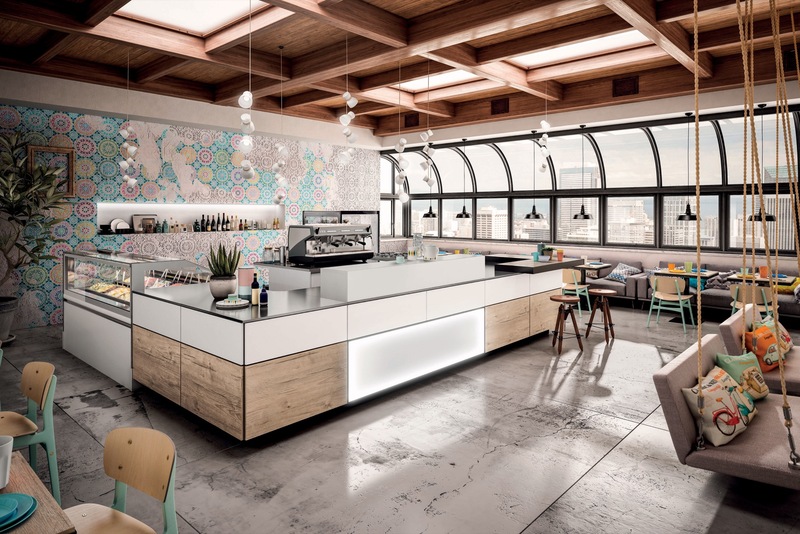 We’ve already mentioned that the most expensive furnishing element needed to open a bar (but also a bakery) is the counter, one of the most important components in places where food or beverages are consumed. Besides the external part, which the client sees, the counter includes an internal part, and often a refrigerated display case too. 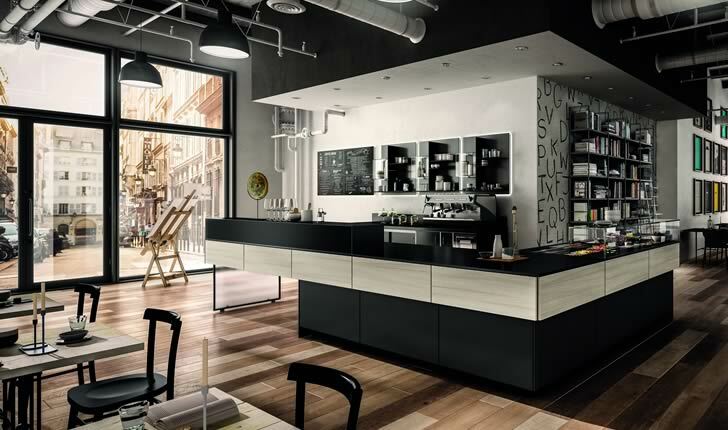 The average cost per square meter of a counter is 5.000 euros, but you could find important differences (higher or lower) depending on the manufacturer. For example, the platform behind the counter is usually upholstered with bubbled linoleum: this upholstery could cost 7 to 40 euros per square meter. 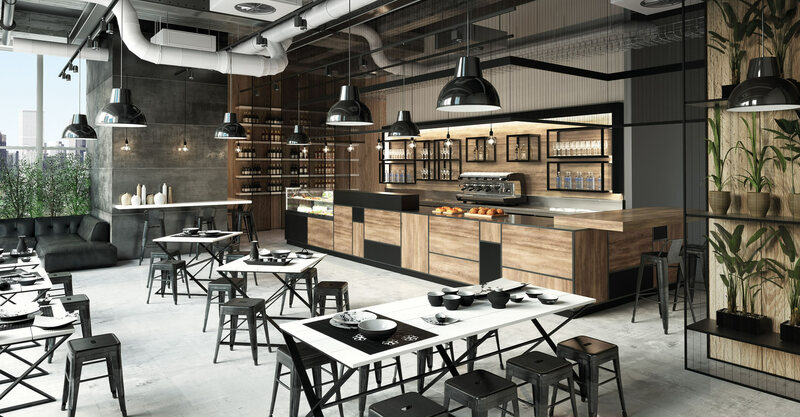 The external part of the counter’s top is usually made with granite, which can cost from 20-30 euros per square meter to hundreds of euros, if you choose expensive materials. You should consider that a chipboard counter could get soaked with humidity. You could also opt for a wooden counter, a very heavy-duty material, variously coloured. The refrigerated display case cost may vary from 3.000 to 20.000 euros, depending on the materials and the finishing you’ll choose, but also on its shape. For example, a square-shaped display case costs less than a round-shaped one. The other furnishings you should equip your place with, such as shelving and tables, are important too, but have a decidedly more reasonable cost. Because of this, the cost per square meter of a small bar is higher than the one to face for a bigger one. If you’d like to furnish an all-new bar, the cost per square meter could get around 700 euros, for what concerns the area accessible to the public. On the other hand, in some cases you could also abundantly exceed 1000 euros per square meter. Of course, we’re talking about average costs: depending on your choices, these costs could grown significantly higher. The most important thing is to choose high-quality material furnishings, or you will find yourself replacing them after a short time. If you’ll have chosen your furnishings the right way, and regularly taken care of their maintenance, your bar will still look good even after decades. On the other hand, if you’ll have preferred low-quality furnishings to save money (for example, you’ve chosen a thin steel counter top), your bar will look worn out after a short time. Think about it: a lot also depends on the number of years you’d like to keep the bar open. If you only wish to obtain some experience in the field to layer open a higher bar, or one in a different city, to contain the costs may be a good idea.